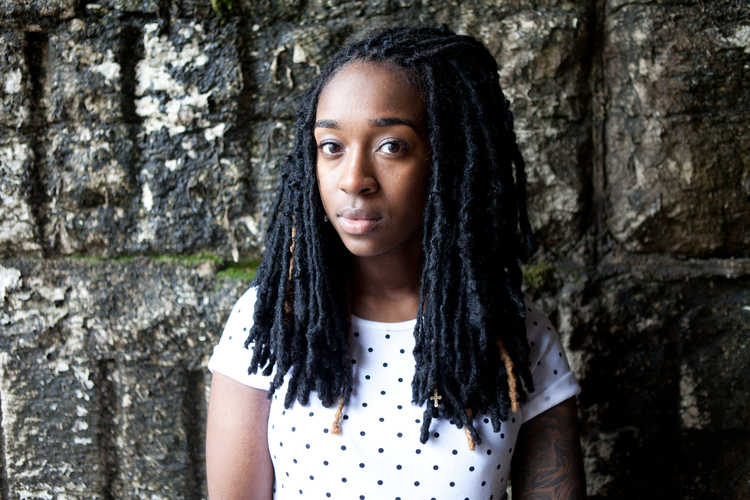 JACKIE HILL-PERRY IS A WRITER, SPEAKER, AND ARTIST WHOSE WORK HAS BEEN FEATURED ON THE WASHINGTON TIMES, THE 700 CLUB, DESIRING GOD, THE GOSPEL COALITION AND OTHER PUBLICATIONS. SINCE BEING SAVED FROM A LIFESTYLE OF HOMOSEXUAL SIN AND THE LIKE, JACKIE HAS BEEN COMPELLED TO SHARE THE LIGHT OF GOSPEL TRUTH THROUGH POEMS THAT HAVE REACHED OVER ONE MILLION VIEWS ON YOUTUBE. SHE IS ALSO BECOMING AN INFLUENTIAL VOICE ON THE VARIOUS TOPICS IMPACTING CULTURE. SHE IS SIGNED TO HUMBLE BEAST RECORDS AND RELEASED HER DEBUT ALBUM "THE ART OF JOY" IN 2014. AT HOME, SHE IS KNOWN AS WIFE TO PRESTON AND MOMMY TO EDEN.